Colder days mean colder nights, and little people don’t always keep their covers on. Come on through for our roundup of the best sleeping bags to keep toes and tummies toasty warm, and help everyone get a better night’s sleep! First off the plate is the is the beautiful merino wool wrap (at top) for the tiniest of little people is a beautiful soft luxury for your new baby. This one is the Cocooi wrap, and if you’re swaddling your little one at sleep time, you’ll be sure they’re cosy and snug in one of these. These Love to Inventa Sleep Bags have breathable mesh under zips at the front and back, it allows you to regulate your baby’s temperature along with fluctuations in the night time temperature. Whether you have a back or a tummy sleeper, if you think they are getting too warm you can unzip them to cool down without waking them up. It has a hypoallergenic bamboo lining too. 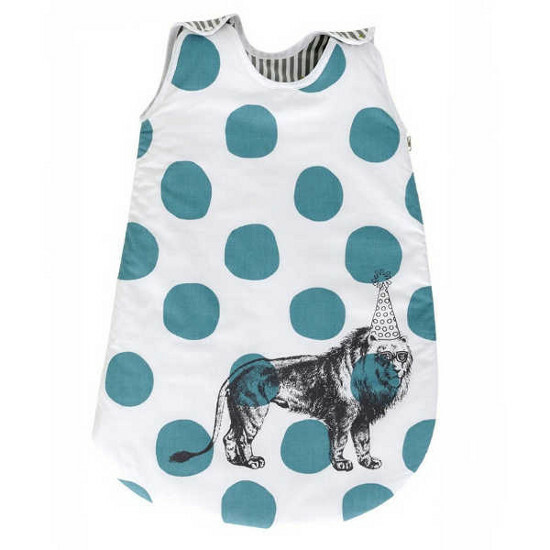 We love the gorgeous colours and designs in the very affordable Wee Dreams sleep sack. They’re made from the softest bamboo and organic cotton and they look so comfortable I wish they made them in adult sizes! Perfect for all seasons, they come in sizes to fit from birth to age three. 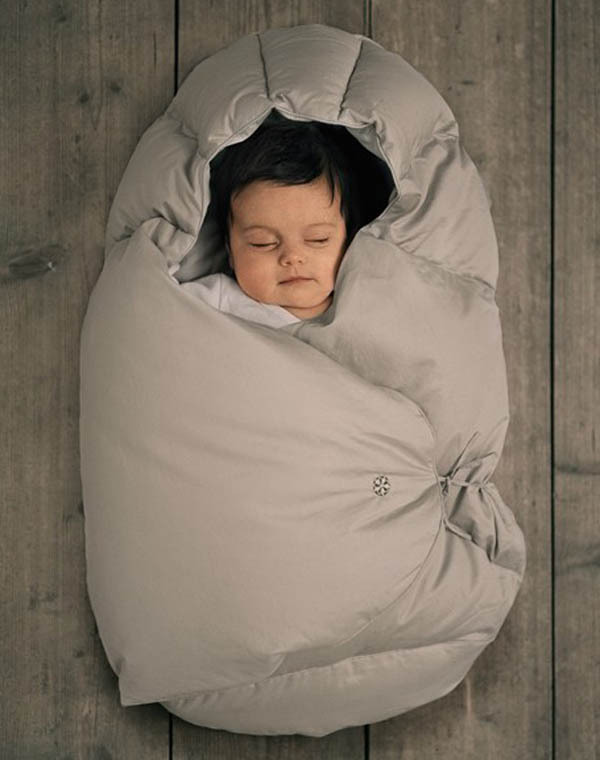 No amount of cold weather will wreck your little one’s day when they’re wrapped up in the Baby Barolo sleeping bag! They only make them big enough to cover till about four months old, so this is another one for adults to feel envious about. It could hardly be a post discussing sleeping bags without mention of Grobag. Well known for their great range of designs, Grobags have become synonymous with baby sleeping bags. If you’re finding it hard to choose which ones you need, you’ll applaud their new night and day packs which contain one lightweight and one winter weight bag in coordinating fabrics. 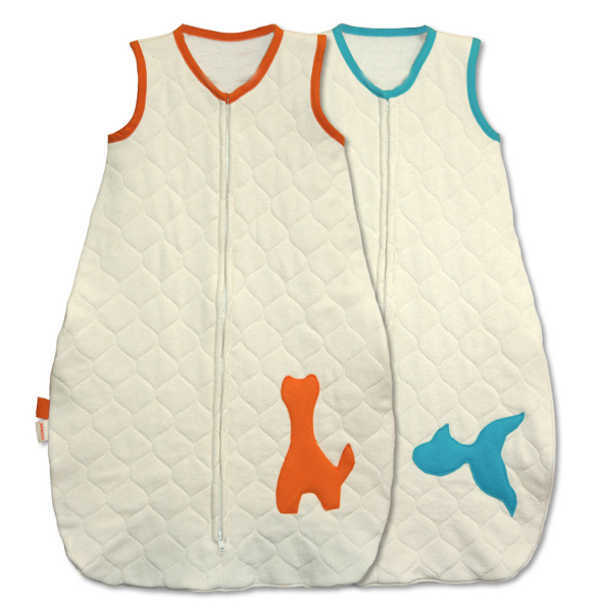 They’re a great way to have both naptime and night time covered. 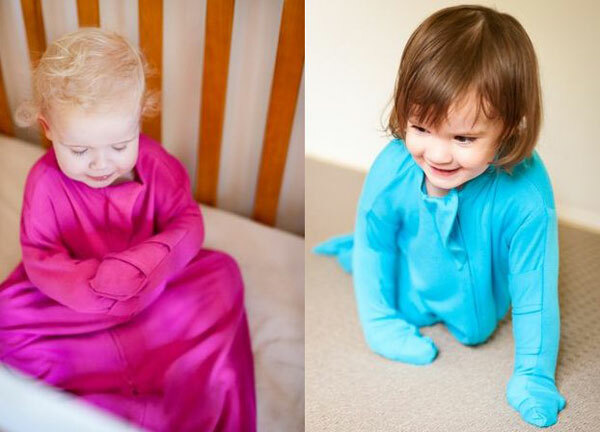 We love Eeni Meeni Miini Moh here at Babyology – they have always gorgeous sleepwear and clothing, but did you know they also make sleeping bags? The one in this picture looks so soft and cuddly I can almost feel it in my hands! Everything’s in the gorgeous soft range of colours that EMMM are so well known for. How about something a little bit European in a sleeping bag? This is one of the lovely French linen range of La Cerise sleeping bags which have only recently become available here in Australia. The eclectic collection is not just paisley and polkadots, but whimsical black and white illustrations to give it a touch of something special. While we’re getting spotty – who could go past the mod designs of the CoZi Sacs from CoZibugs? They’re made from lovely cotton with a handy two-way zip, but it’s the gorgeous bright and fruity colours that really make them a must have. If you have a little one who suffers with eczema or other related skin conditions, you’ll know that night times can be a long way from peaceful. You’ll be looking for something really specific to help your child have a good night’s rest, and the Bamboo Bubby Bag may just fit the bill. As the name suggests, it’s made from breathable bamboo, to help stop your child overheating and exacerbating their condition, while clever adjustable sleeves help stop night time scratching. If it’s organic credentials you’re after, then look no further than the Organic Baby Sleeping Sacks from Tookee Kids. Made from hemp and organic cotton, they’re even quilted for extra softness and warmth. What about a sleeping bag in oh-so-snuggly cotton velour? That’s the material in the winter weight sleeping bags from Apple and Bee. Velour is so delicious on the skin that I’ve always thought it a pity that it seems to be mainly the domain of elderly women in jogging suits, but now at least our children can enjoy it (and you can too, while snuggling with them)! This one’s not a sleeping bag, but we wanted to include something for those children who are getting a bit big for a bag, but still kick off the covers. It’s the fabulous BedSOK, with zips up each side to keep older children snug and warm all night. Stretch ribbing means there’s plenty of wriggle room, even for very active sleepers, and they come in sizes all the way up to king single.